How Much Money Can I Save Growing My Own Food? 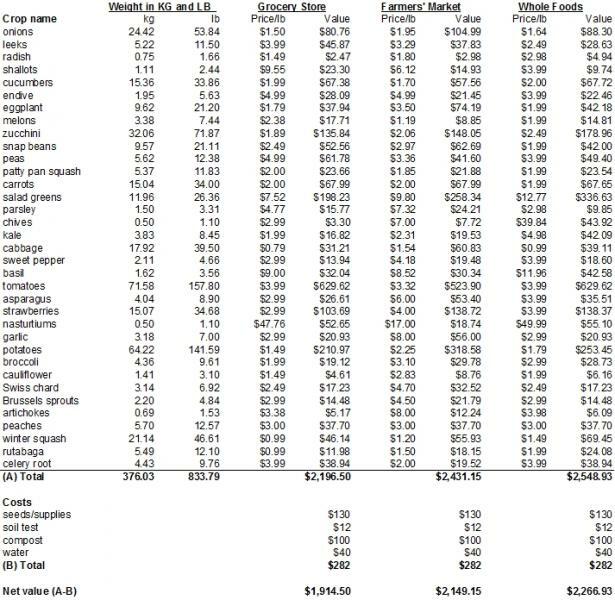 Roger Doiron, founder of Kitchen Gardens International, developed the following chart on the economic value of growing his own food versus the cost of the same food from a conventional grocery store, a farmers’ market and Whole Foods. The data is based on one family (of five), one yard (.3 acre), one garden (roughly 1600 square feet), and one climate (Maine, zone 5b/6). 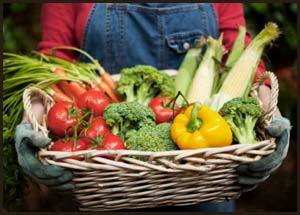 Visit kitchengardeners.org to read the entire article about the economic value of growing your own food.